Bananas are the most consumed tropical fruit in the western world. They are very easy to peel and are very comfortable to eat. No dirty hands. 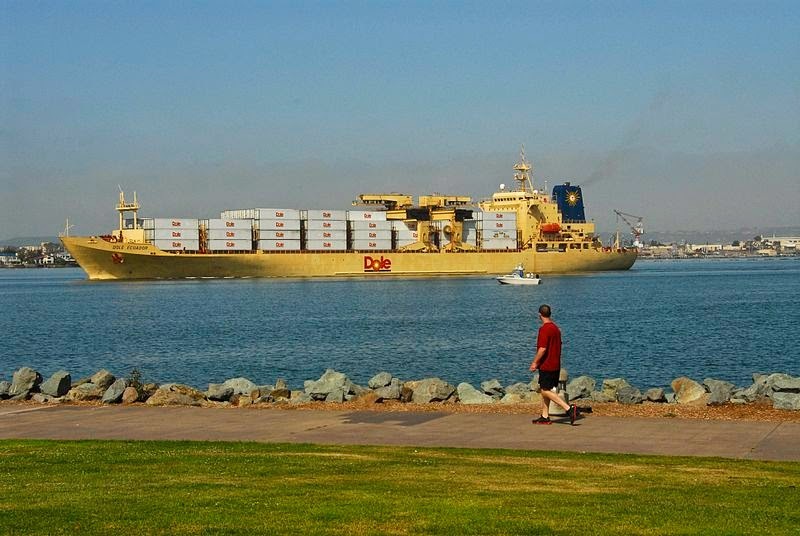 Thanks to refrigerated cargo ships (aka reefers) and refrigerated shipping containers, bananas can be shipped around the world without spoilage. Bananas can be cooled and shipped, when harvested green. Refrigeration slows the ripening process. The ripening is usually done in warehouses at the export destination point with ethylene gas. Bananas are cheap and everybody eats them. It's an ideal product to attract shoppers into supermarkets and that is exactly what is happening nowadays in North America and Western Europe. Banana turnover in western supermarkets could be as much as one percent of the overall turnover, which is considered as an awful lot. 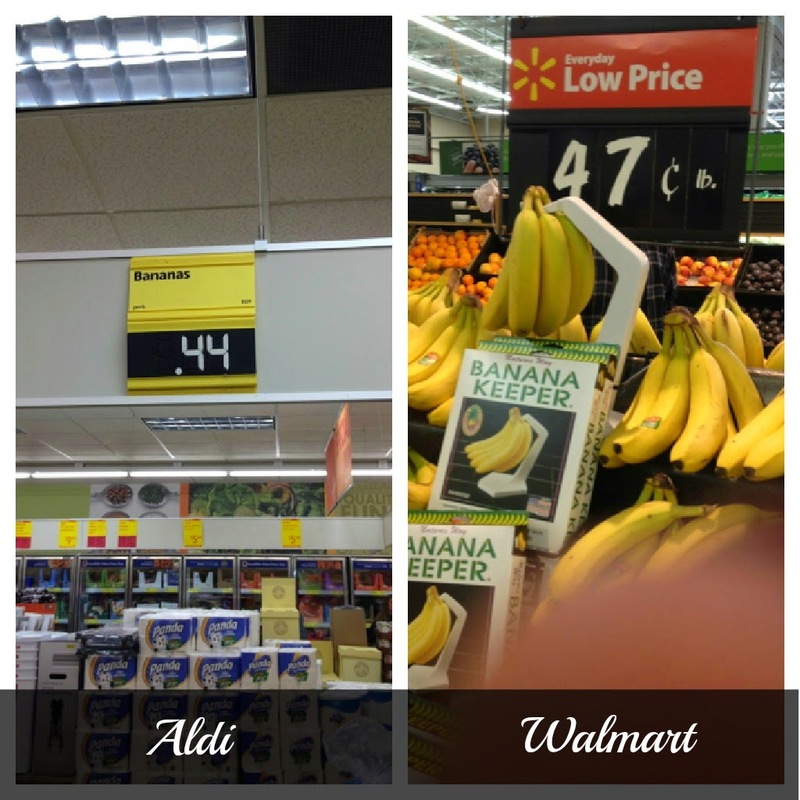 It seems there is a banana-price-race-to-the-bottom going on in many western countries. Unfortunately with bad side effects. The invention of the refrigerated cargo ship (reefer ship) in the late 19th century made it possible to export frozen meat and tropical fruits like bananas to western countries. Today, one reefer ship could transport 400,000 banana cases. US banana companies could expand almost unlimited in Central and South America. These companies benefited very much: plenty of dirt cheap arable land and labor, very cooperative (corrupt) local politicians, very little or no tax, easy laws and no trade unions. These US banana companies (together with other large US agricultural companies) bought, in cooperation with local politicians, enormous quantities of (stolen or confiscated) arable land in Central and South American countries and introduced in this way large landownership and a landless impoverished working class. The story of Guatemala and United Fruit Company as described in the book 'Bitter Fruit' will give you a pretty good idea what was going on at the time. The book 'Doing Business with the Dictators' is another recommendation. The phrase 'banana republic', which is still used today for a politically very unstable country, was coined ca. 1904 by the American writer O. Henry (William Sydney Porter, 1862–1910) to describe the fictional Republic of Anchuria in the book 'Cabbages and Kings' (1904), a collection of thematically related short stories inspired by his experiences in Honduras between 1896 and 1897. Even today many of those Central and South American countries still struggle with the heritage of the era of these banana companies: latifundistas, corrupt politicians, land reform programs and a landless impoverished working class. Generally speaking, the working conditions of workers on banana plantations have been bad since the very existence of such plantations. Workers have been structurally underpaid and their (human) rights are being denied. For instance the use of pesticides (Nemagon aka DMCP aka dibromochloroproprane) have caused lots of diseases and deaths under unprotected workers. Since the nineties there have been DMCP lawsuits in Costa Rica, Ecuador, El Salvador, Guatemala, Honduras and Nicaragua. 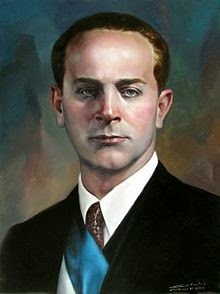 Another historical low in denying the rights of banana workers is the banana workers massacre in Colombia 1928, when United Fruit Company (Chiquita) workers in Santa Marta, Magdalena organized a labor strike for better working conditions. In the end the Colombian army was sent in. The exact number of casualties has never been confirmed, but estimates given by contemporaries and historians, are ranging from 47 to as high as 2,000. A dispatch of the US Bogotá embassy stated more then 1,000 deaths at the time. Walk into a Tesco or Asda supermarket today and you'll be able to buy a kilo of bananas for about 68p in the UK, Back in 2002 that same bunch would have cost £1.08, 59% more. If banana price inflation had kept up with the pace of Mars bars, for instance, the fruit would cost £2.60 a kilo now. For years, British supermarkets have used shamelessly cheap bananas as a key weapon in their price wars. You'll find the same low pricing in the US, Germany, Netherlands, Belgium and so on. Supermarkets have demanded their suppliers to sell them bananas at a price so unfeasibly low that they cannot possibly be grown in a decent, equitable way. The price-cutting activities of the big supermarkets are distorting the whole banana trade. The strategy that as any supermarket says that if somebody else starts to sell at a lower price than theirs, they will be prepared to go down as much as that lower price, has completely destroyed the value in the banana chain. Supermarkets don't suffer from low price or loss-leading strategies – they simply jack up their margins on other foods to make up for any loss they take on bananas. Banana workers and small banana farmers are paying the price. 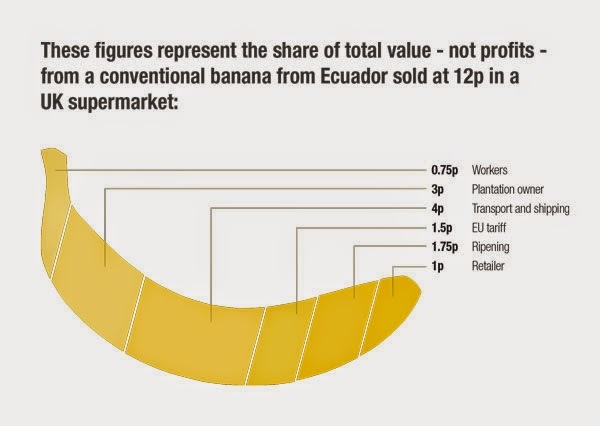 During summer 2014 the cheapest bananas were coming from Ecuador. It is also known that supermarkets buy their bananas directly from the four big multinational banana companies Chiquita, Dole, Fresh del Monte and Fyffes. These companies are integrated vertically up the chain meaning that they own or contract plantations, own sea transport and ripening facilities, and have their own distribution networks in consuming countries (above all in the United States). At a typical Dole (or Del Monte, Chiquita) owned banana plantation banana workers get a legal minimum wage of USD 340/month, which could grow to USD 400, depending on the work they do. This includes one meal a day and some kind of health service. On a Dole owned plantation a plastic bag treated with the insecticide Bifenthrin on the inside, goes around the banana bunch to protect it. If an insect goes inside the bag it dies, while the insecticide doesn't transfer to to the bananas or banana workers. Never the less, on a Dole plantation the use of pesticides is plenty, because the Cavendish banana species is very vulnerable to pests. 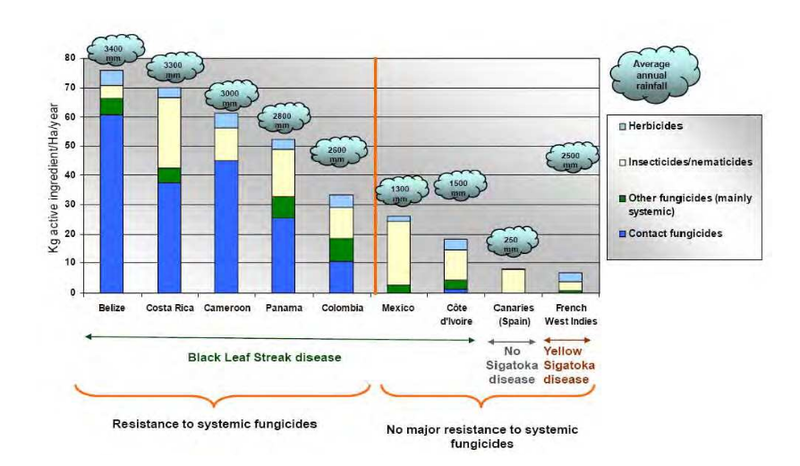 Fungicides are the main pesticides on dessert banana crops applied to lessen the impact of soilborne pests, along with insecticides and nematicides. The three major types of banana diseases or pests are Mycosphaerella foliar diseases, the black weevil, plant-parasitic nematodes like Radopholus similis. All banana workers are regularly exposed to pesticides and protection is insufficient. However, Dole (or Del Monte, Chiquita) buys - by use of intermediaries - 5 times more bananas from independent contracted growers. These bananas are shipped and sold as Dole bananas. Banana worker conditions are much less on independent plantations than on a typical Dole owned plantation. Ecuador is not different from other banana producing countries regarding working conditions. But what exactly is going on in Ecuador that is causing these low price of bananas? USD 6/case is the current set legal minimum price in Ecuador for export bananas this year (2014). The minimum price should guarantee that the grower gets a fair return on his farm. A typical banana case has 40lbs or ~18kg of bananas. This usually is around 80-100 individual bananas. However, this legal minimum price/case is not respected and illegal practices are going on. Gustavo Marun, president of Aproban (Asociación de Productores de Banano) and producer from Los Rios says that a minority of growers sign sales contracts with buyers (including Dole) for a price of USD 6/case. The growers receive their SD 6/case, however, depending on the (illegal) spot market, the growers have to pay back between USD 2 and USD 3/case to the buyer. Prices on the spot market are low during the summertime when there usually is an excess of bananas. The big banana companies like Dole, Chiquita and Fresh Del Monte will tell you that they will only buy contracted bananas for export in Ecuador at a price of USD 6/case from independent growers. But in reality when the price at the spot market is low, they buy through intermediaries from contracted growers at a much lower price. They often breach their contract by not buying at all. People at the beginning of the banana chain - banana workers and small independent banana growers - have the weakest bargaining power and are literally paying the price of this banana-price-race-to-the-bottom. Working conditions are becoming worse for banana workers. They have to get their daily quota or they don't get paid for that day. Insecticides may be sprayed when workers are not protected. If they complain they usually get fired. Even if they discuss working conditions not at work, a snitch might betray them. If banana workers get fired for complaining, they will be blacklisted and no other banana grower will hire them. social stability for families. There were wages which allowed workers to live in dignity. It was normal for a worker to have a small motorcycle or a bicycle.